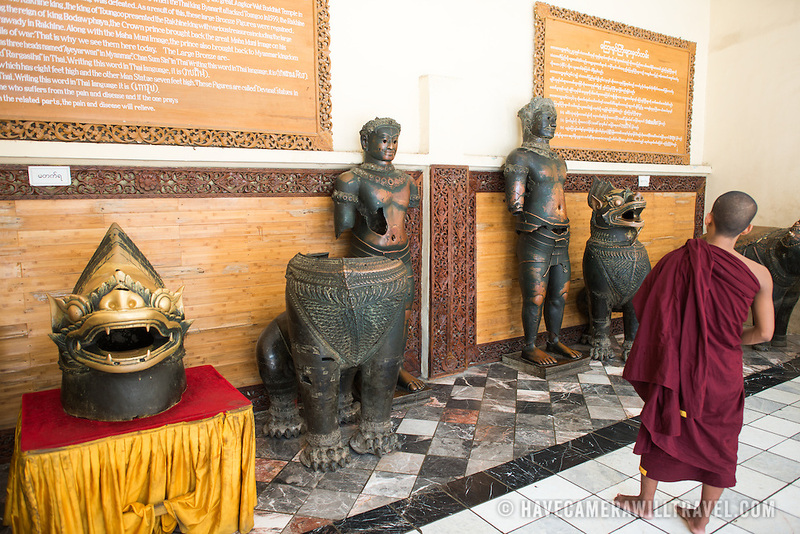 Large bronze figures that were originally from Angkor Wat (Cambodia) and arrived in Myanmar via Thailand in 1563. Mahamuni Buddha Temple (also known as Mahamuni Pagoda) is a highly revered religious site in Mandalay. At its heart is the Mahamuni Buddha image, reputed to be one of only five original likenesses of the Buddha made during his lifetime. It is covered in gold foil donated as tributes by worshippers and pilgrims.